Properties in China - cheap or expensive? The great country, People’s Republic of China - one of the strongest economies in the world, which is not afraid of any crisis. The most powerful and wealthy people in the world have long been aware of this. It is not surprising that many of them massively invest in properties in China. Especially popular among the super-rich buyers and investors from abroad enjoys property in Hong Kong - housing in the premium segment of the market. But those who have much smaller financial capabilities also have the opportunity to choose from many offers in China - the cheapest property in smaller cities are very well represented. Where to buy properties in China? The real estate market in China, as its economy, is constantly growing - there is always something being built there. The “factory of the world” as many refer to China can be also called a “huge construction site”. The property from the builder here is very popular among both local buyers and foreign investors. And the greatest demand for housing is observed in cities such as Shanghai, Harbin, Guangzhou and Chengdu. Property in the capital, of course, is also very popular among buyers and tenants. China - one of the cradles of civilization. But foreigners are attracted not only by interesting history and ancient traditions of this country. Of course, the local seaside resorts - that's what attracts beach lovers and home buyers in China. Hainan Island enjoys their special attention and has an excellent mild climate and the highest level of service. Should be noted that if you want to buy a house by the sea in China, keep in mind that the climate in different parts of the country is quite different, and in the summer is very humid in some southern areas. 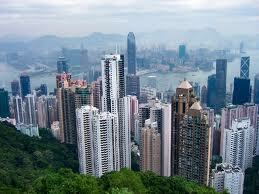 Why the number of property buyers in China is increasing? China has a stable economy and is a very popular tourist destination. The local real estate market is also attractive to foreigners due to the fact that the country has a few special economic zones. And, of course, in order to run our own successful business, or to expand business partnership in one of the 14 zones of free trade, 53 zones of high and new technologies, 38 zones of product processing, and many others, we must first buy a home or commercial facility in China.